Luxurious, 400 count, 100% cotton sateen sheets with ribbon detailing on the pillowcases. Kiley is the perfect coordinate to your Waterford Bed. 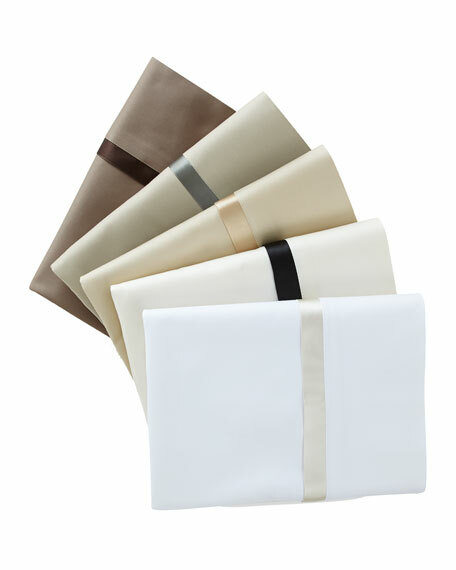 Luxurious, 400 count, 100% cotton sateen sheets with ribbon detailing on the flat sheet and pillowcases. Extra deep fitted sheet fits up to a 21" mattress. Kiley is the perfect coordinate to your Waterford Bed. Flat sheet, 108" x 106". Fitted sheet, 78" x 80" with 15" drop.